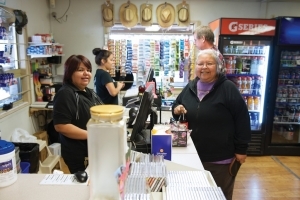 The Líl̓wat Nation Business Corporations work to ensure that the nation is generating revenues for reinvestment in the community while creating employment opportunities and building capacity within the nation. Governed by the appointed board of directors of Líl̓wat Holdings Inc., the corporations are structured according to best practices to reduce liabilities to the nation and minimize taxes. This structure also defines the appropriate roles of business and politics. Chiefs and Council appoints Líl̓wat Holdings Inc.’s Board of Directors, which in turn, makes appointments to the boards of each of the nation’s limited partnerships. The boards of Retail Operations, Forestry Ventures, Construction Enterprises, Management Services, and Capital Assets have the mandate to maximize profits while respecting the cultural, social and environmental priorities of the nation. To develop Forestry Ventures, we continue to purchase tenure and invest in training and employment opportunity. Retail Operations are regularly reviewed to create greater efficiencies to better respond to the community’s needs. With strong partnerships and transparent, forward-facing business practices, we̓re laying the foundation for the Líl̓wat Nation’s economic success. The tabs at right detail the activities and mandates of the Líl̓wat Nation’s businesses. At the centre of the nation̓s business activities is Líl̓wat Holdings, Inc., the entity that connects all of the nation’s corporations and limited partnerships. All business activities are overseen by the citizens the Líl̓wat Nation, whose leadership, through the appointment of corporations’ various boards of directors, ensures that these businesses serve the nation to maximum benefit. Líl̓wat Retail Operations oversees all of the retail businesses of then nation. These currently include Líl̓wat Gas Station (LGS) and Post Office, the Tsípun Supermarket at Xet̓ólacw and Líl̓wat Broadband Services, an Internet Service Provider for the Xet̓ólacw community. Plans for future growth include examining the feasibility of a “card lock” at LGS, offering cable television to Xet̓ólacw and development of a new service station at Churchlands’ Corner. Retail Operations proudly provides employment for more than 25 community members and is committed to building the nation’s capacity in the retail and service sectors. 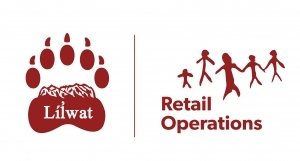 To meet this commitment, Líl̓wat Retail Operations delivers staff training in customer service, loss prevention, and health and safety. The goal of the nation’s retail operations is to support the community economically and to provide a range of products and services right in the heart of Mount Currie. To sign up for Líl̓wat Broadband at Xet̓ólacw, please e-mail retail@lilwat.ca or call Michelle Thevarge at 604-894-6115. 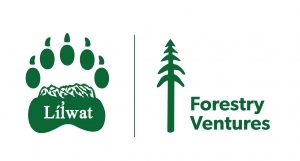 Líl̓wat Forestry Ventures manages an Annual Allowable Cut (AAC) of 70,000 cubic metres of timber, approximately one-third of the AAC of the entire Líl̓wat Traditional Territory. 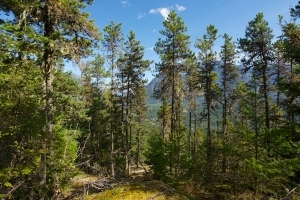 The corporation divides it forestry operations into two key areas: contracting and harvesting. Líl̓wat Forestry Ventures provides internal services to our harvesting division and sub-contracts for upwards of 15 clients each year. 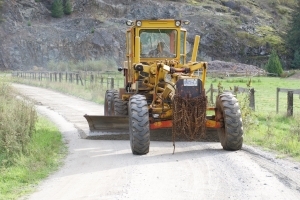 The corporation’s work includes tree planting, spacing, brushing, slashing, falling, and road rehabilitation and construction. As well, Forestry Ventures is responsible for managing training initiatives directly related to forestry and contracting. The Líl̓wat Nation Referrals Committee approves all harvesting by Forestry Ventures. Below is an interactive map detailing the areas that Líl̓wat Forestry Ventures are currently harvesting. Interested In Hiring a Líl̓wat Forestry Ventures Crew? Líl̓wat Forestry Ventures crews are made up of skilled professionals familiar with all aspects of forestry harvesting and management. For crew availability, rates and quotes, please contact Michelle Thevarge at Michelle.Thevarge@lilwat.ca or Klay Tindall at Klay.Tindall@lilwat.ca. 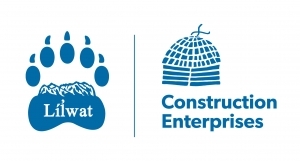 Growing Líl̓wat Construction Enterprises is a priority for Economic Development and Businesses. In 2013, Líl̓wat Construction Enterprises partnered with Lizzie Bay Logging to create Múm̓leqs Construction LP for independent power plant construction, road building, penstock services and other related work. Mumleqs’ projects have included clearing a 72 km transmission line for the Upper Lillooet Hydro Project, road construction at the Wedgemount Creek IPP, and substantial land clearing on IR#2 for the 2014 Pemberton Music Festival.